Hey all! Yes I am still here... barely but here! 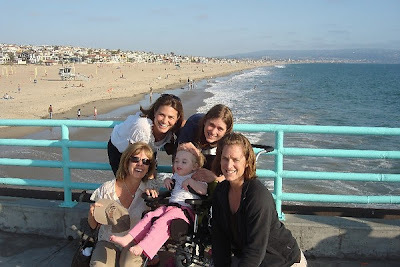 Here is a picture I found of Kenzie, myself and 3 of her therapists in LA in Sept! They all love her so much and put so much time into my Baby Girl! Thank You sooo much Kelly, Pam, and Stephanie for believing in my Princess!!! It has been a crazy week! 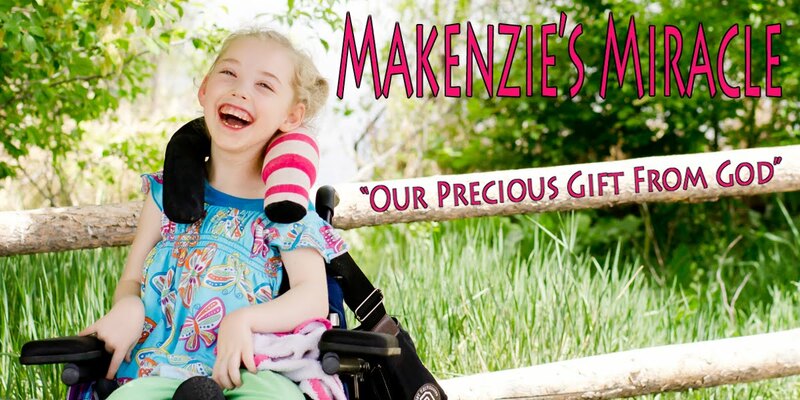 Makenzie is doing well! She is so happy! Today we were playing and I put her on my lap facing out and we would count to 3 and on "go" she would throw her self back and just giigle! It was sooo cute. The amazing thing is that she understood the "rules" of the game! When she would try to go befor I said go I would tell her she was cheating and she laughed even harder!!! It was great! I love my little giggly girl! Last night as I was putting her to bed we sang our songs, and I looked at her and asked her to say "mama" guess what..... she did!!! Plain as day! Now of course she wouldn't do it again but once it great!!!! Thank you all for your prayers! They mean so much! Pam, I know your heart must have swelled with joy when you heard her say, "mama"! !